The biggest star in the history of the WWE is coming home! Hulk Hogan is signed, sealed, and ready to be delivered on February 24 on RAW. Hogan won’t be wrestling at WrestleMania 30 but will be playing a big role nonetheless. 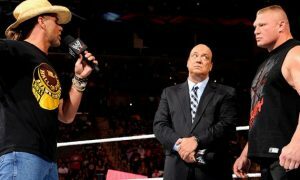 The WWE confirmed on Friday that Hogan will be the Guest Host for the event. 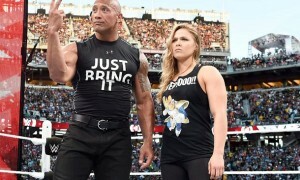 Hogan will serve in the same role previously filled by The Rock at WrestleMania 27. Hogan will also be playing a big part in promotion of the impending WWE Network. Expect a lot of Hogan appearances over the next few months. There was some talk a few months back of Hogan not only wrestling at Mania, but headlining. There was some buzz around a Hogan vs. John Cena main-event. 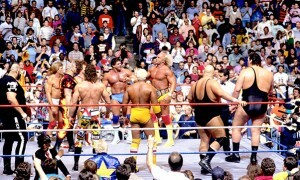 When WWE officials realized that Hogan would be a physical risk in such a role, a tag team match with Cena was considered. In the end the company opted to play it safe and keep him out of the ring. That said I wouldn’t be surprised at all to see him get involved in Cena’s match, but with less physicality than The Rock had at 26. I am excited to see Hogan back in the WWE. This is where he belongs. Maybe it is still the kid in me that watched Hogan drop legs on Paul Orndorff, the Masked Superstar, and Randy Savage at the Philadelphia Spectrum but I still enjoying see the Hulk in moderation. Much more moderation than Hogan appeared in TNA Wrestling the last few years. Hogan is coming back to the WWE for the first time since 2007. Ironically the absence is only a year short of Hogan’s last lengthy hiatus from the WWE. Hogan’s most infamous hiatus came from 1994-2002 when he left to go to WCW. I would imagine that the intention would be to keep Hogan around forever but that could always change. Hogan had had a few WWE comebacks since leaving for WCW. Unfortunately they never appear to end well. 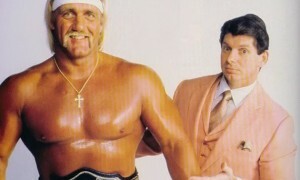 Hogan and Vince McMahon are likely to see eye-to-eye now but who knows what the relationship will be six months from now. To Hulk’s credit, he has never gone out of his way to bash Vince that I can recall. Even during his three-year run in TNA Wrestling I don’t recall him ever throwing any personal insults or airing any garbage Vince McMahon’s way. I can’t help but think back to Hogan’s last appearance in TNA Wrestling. Not only was he able to con Dixie Carter into a sweet gig with no accountability for a few years. 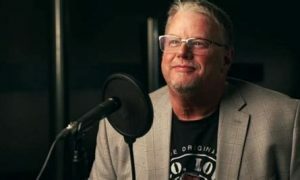 Hogan was able to convince Dixie Carter to film an angle where she clutched at his leg and begged him to stay on his last television appearance. Only a fool would put herself in that angle knowing that Hogan’s contract was expiring and the company wasn’t keeping him. How long will this run really go? Who knows? It is all roses today but what happens the next time a millionaire knocks on Hogan’s door and wants him to play a big role in his new promotion? Personally I think this is it but you always have to regard Hogan’s relationship with the WWE as borrowed time. Regardless, I’ll enjoy it while it lasts.